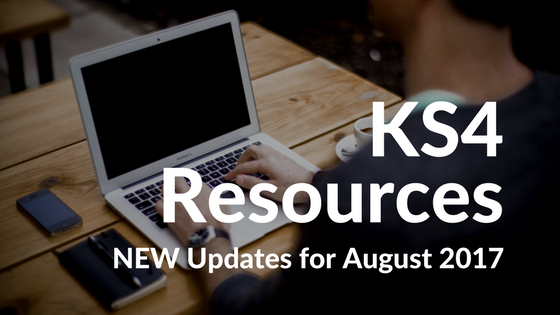 To try to keep up to date with all of the changes made by the DfE we have updated some of the KS4 resources. These can be found here along with the latest versions of all of the resources. These need not be downloaded before results day since the changes do not apply to the 2017 cohort. The 2018 to 2020 versions now contain new columns at the end to calculate a new headline measure, the Average Ebacc as described in the posting of 2nd August. As always the templates will import over the TP Year 10 Autumn Term version but would need to be cloned and marksheets recalculated for the new measure to be populated. The report now contains the Average Ebacc calculation above, but this measure only applies to the 2018 cohort and beyond. The additional reports for (a) Threshold and (b) Numerical Progress and Attainment calculations have been updated to include the new measures for ‘standard’ passes and the new Average Ebacc Measure. The suffix of 2017 has been removed from the Threshold report so the new one will not overwrite the previous version on import. The previous versions (CAS KS4 Threshold Measures 2016 and 2017) can now be deleted. There are several new graphs to import which reflect the new headline measures. We have left the original files available in the folder if schools wish to continue using them. I'm an independent SIMS consultant who works with primary and secondary schools and support teams across England and Wales. This blog received nearly 26,000 visits in the last 12 months - thank you! If you want to contribute contact me for more details. School Analytics is my solution for primary schools who want to record ‘assessment without levels’. Fully customized to your school and costing from only £295. Click here.